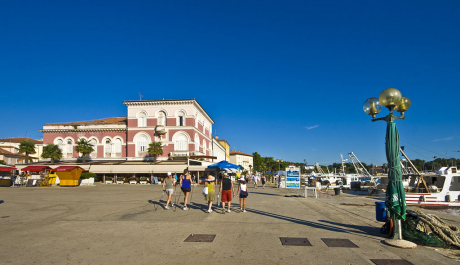 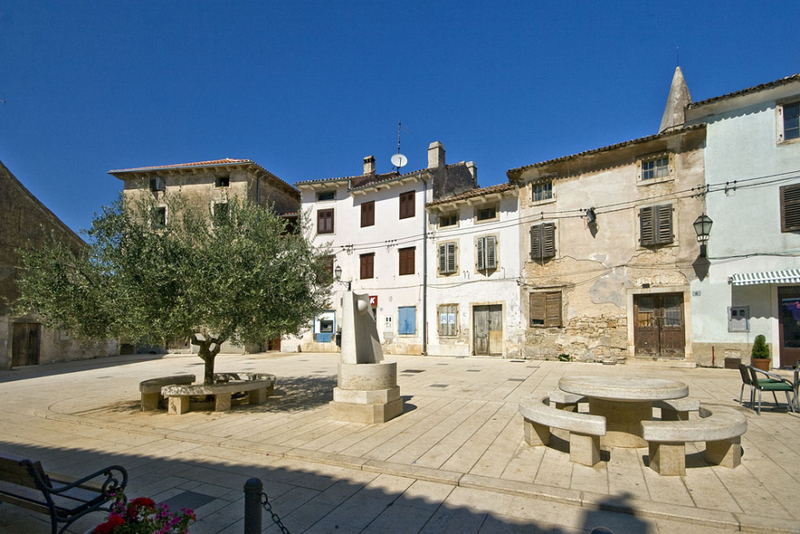 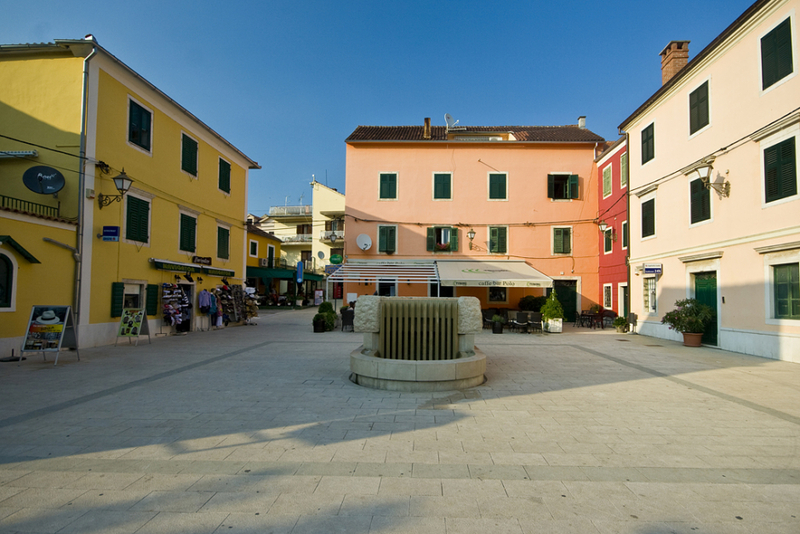 Porec waterfront place to book boat trips or simply enjoy a stroll and a beautiful Mediterranean architecture. 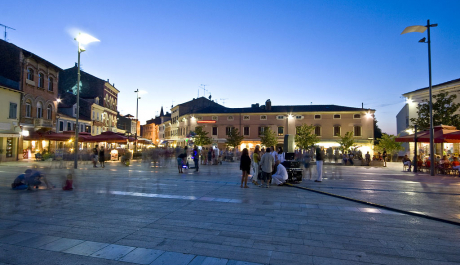 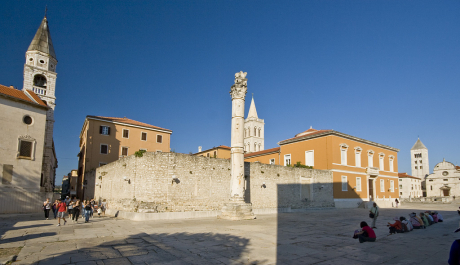 Central to the square of the ancient and medieval Pula in which the northern part of three temples. 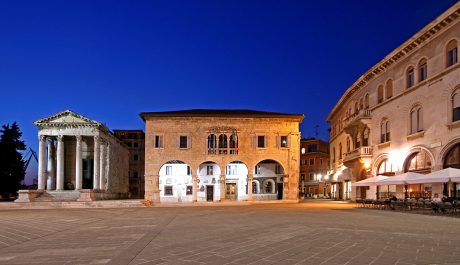 Temple of Augustus on the picture is fully preserved to the present day.